David Silver founded his company in 1986 by supplying new old stock parts to Honda owners around the world. 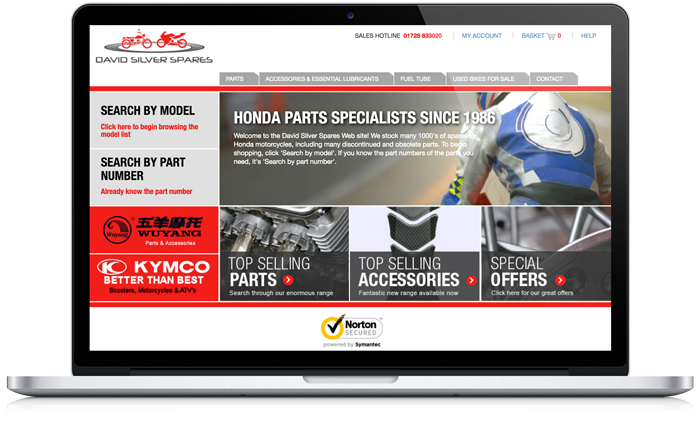 Starting with a few hundred pounds worth of obsolete petrol tanks and mudguards purchased from Honda dealers and distributors, David Silver Spares today carries a mountain of parts for over 1,000 different models. It carries the most comprehensive range of parts for models from the early 1960s through to 1999. Having collected a vast array of Honda motorcycles over the years, The David Silver Honda Collection is a new addition to the company. This will enable Honda enthusiasts from around the world, to view and enjoy the engineering brilliance of Soichiro Honda and his team.